Occasionally we are asked what the Iridium network really consists of. Some non-technical end users of satellite phones take it as a matter of course that the network exists, and provides services to them, but other than that they don't care to know the details. For those who do ask the interesting questions, Iridium's recent filings with the ICAO shed some light on the architecture of the network. Interestingly this can't be found directly on the Iridium website, which has a less technical overview of the network, but the details on the number of satellites, their orbits, frequency use and earth stations can be easily found in Iridium's technical documentation. As reported by Wired News, Boeing's best selling airplane this year is not a 737, 777 or 787 but a 44 pound unmanned aerial vehicle that can loiter over an area for up to 24 hours. 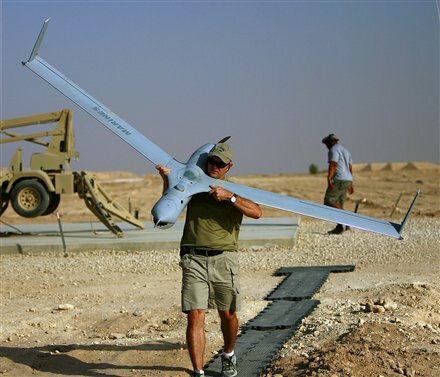 The ScanEagle built by Insitu Systems, a wholly owned Boeing subsidiary is launched by a catapult and recovered using an aerial rope system, allowing the same hardware to be used on land or sea. Interestingly, unlike other UAV firms the ScanEagle is not sold as a hardware + support package but is priced based on the number of hours of flight. Aviation Week has also covered the use of the ScanEagle in Afghanistan. Future small UAVs are likely to have the capability for narrowband satellite communications. The Iridium NEXT network should support symmetric data rates in the range of 64 kbps to 128 kbps per mobile terminal, with radio modem and antenna packages small enough to fit on a UAV in the sub 50 kilogram size range. Mobile aircraft data terminals for INMARSAT BGAN service are also decreasing in size, to the point where they can be added unobtrusively to the top fuselage of small business jets (but are still much too bulky for small UAVs). At present small UAVs are for the most part not capable of "over the horizon" missions, despite their flight endurance times. 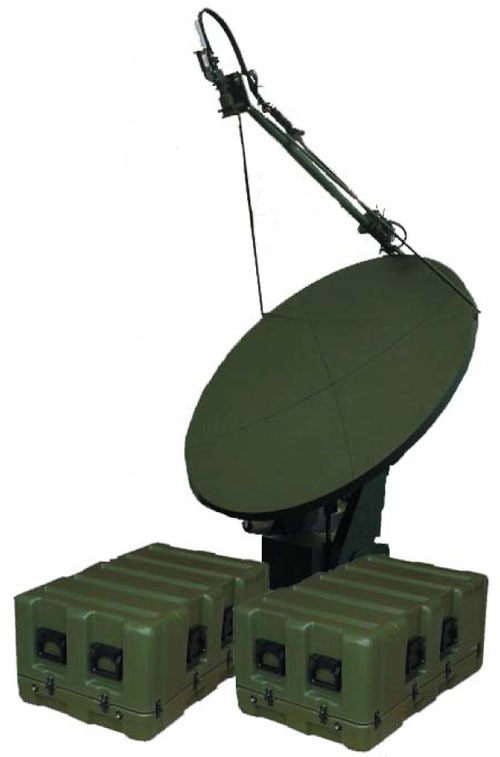 The Ku-band stabilized 4-axis tracking antennas used on aircraft such as the Predator, Reaper (Predator-B) and Global Hawk are significantly bulky and consume hundreds of watts of power. Since 2004 the Canadian government has been engaged in a program to subsidize the cost of broadband Internet access in the Canadian Arctic, specifically the territory of Nunavut. Although it covers a land area greater than western Europe, Nunavut's population is less than 35,000 and distributed over an extremely wide area with a harsh arctic climate. Industry Canada is the primary source of the funding. This is distributed through the Nunavut Broadband Development Corporation, a quasi-governmental entity which has contracted to build networks in 25 communities with the Yellowknife based VSAT ISP and technical services firm SSI Micro. Known as QINIQ, the network was built in 2004 using C-band equipment and spectrum and TDMA technology. The NBDC has recently completed a second phase of RFPs with its prime contractor, SSI, for additional services to meet needs not filled in the original 2004 project. The August 16th issue of The Globe and Mail has an interesting post on other infrastructure projects in the Canadian north, including a new port for Iqaluit and housing. In this post I will examine the reasons why this project is likely to remain government subsidized for the foreseeable future. The primary reason is the cost of satellite bandwidth, but other factors are also involved. 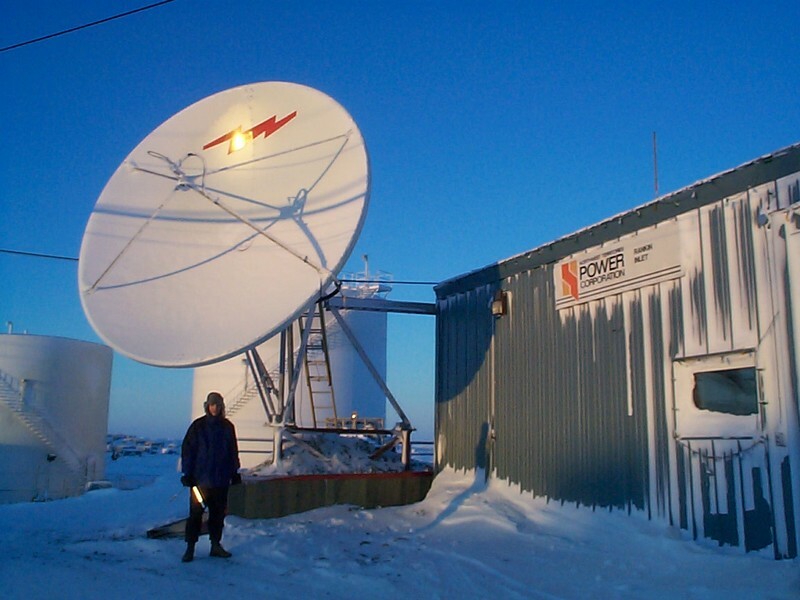 Continue reading Broadband Internet access in the Canadian Arctic. Occasionally we receive questions about the various subsystems involved with a flyaway VSAT system. Although the antennas themselves are relatively small, the total package to link a remote location to the Internet requires several transit cases of equipment. Depending on the number of users and scale of the LAN at the remote site, this can grow to quite a large collection of equipment. In this post we will detail what a default configuration looks like in terms of overall weight and volume. 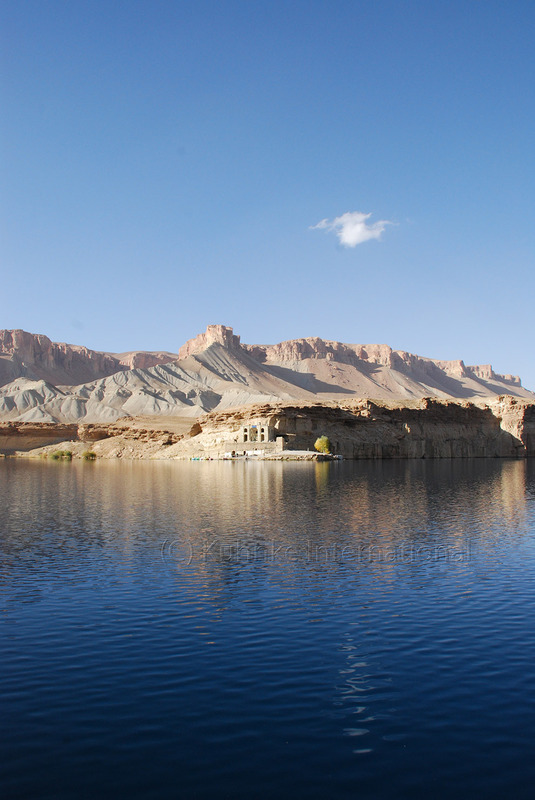 The goal of any flyaway system is a high degree of portability, which unfortunately is frequently compromised in Afghanistan by the necessity for a high degree of electrical system protection from "dirty" power. The necessity to provide your own electricity by generator, solar or wind can also complicate logistics. 42.92 kg Satellite modem, router, tracking controller in transit rack. 92.73 kg 2500 kVA voltage regulator + UPS in transit rack. 22.87 kg Rx, Tx and antenna control cables, AC electrical cables, etc. The volume occupied is 1.29 cubic meters, or 45.86 cubic feet. You can download a generic weight and volume calculation from our website to see examples of a baseline configuration and a heavier, slightly more capable configuration. Both of these are based on the same 1.2 meter fully motorized Ku-band antenna. Continue reading The real size and weight of a flyaway VSAT system. If you will be spending a significant amount of time on the road outside major cities, we recommend that you prepare your vehicle ahead of time. Although it is entirely possible to drive around Afghanistan in a battered 1980 Toyota Corolla with bald tires and a TYPE-R sticker on the windshield, keeping some basic supplies in your 4x4 is a good idea. Buying these ahead of time in a major city and keeping them on hand will save a great deal of time and frustration. It may also keep you safe if you experience vehicle trouble in an area with less than ideal security. The list assumes a light to medium duty 4x4 such as a Toyota Land Cruiser, Surf (also 4Runner), HiLux pickup, Nissan Patrol, etc. Some of these items are optional and specific to winter conditions. Some people may consider bringing everything on this list to be overkill, but it can be used as a good baseline. Note that this guide does not address communications issues related to mobile phones, handheld or vehicle mounted radios, satellite phones, etc. Continue reading Afghanistan Vehicle Checklist. 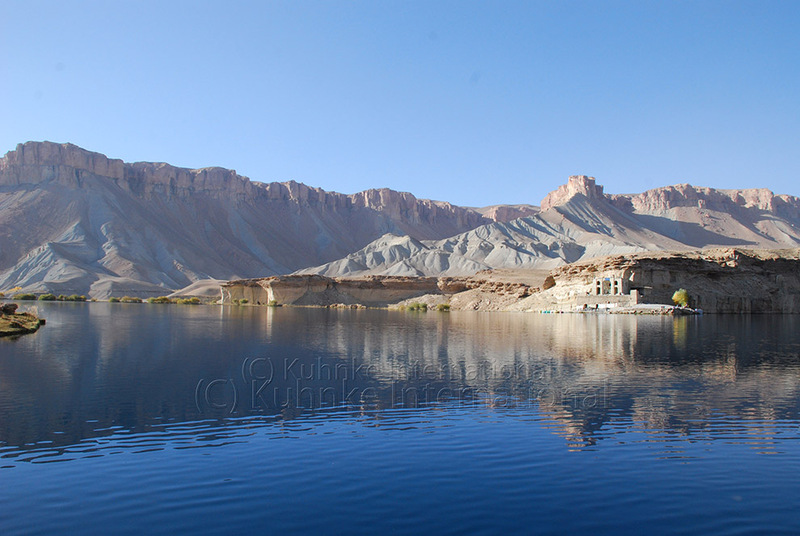 These photos were taken at Band-e-Amir in Afghanistan's Bamiyan province. You can read more about it on wikipedia. 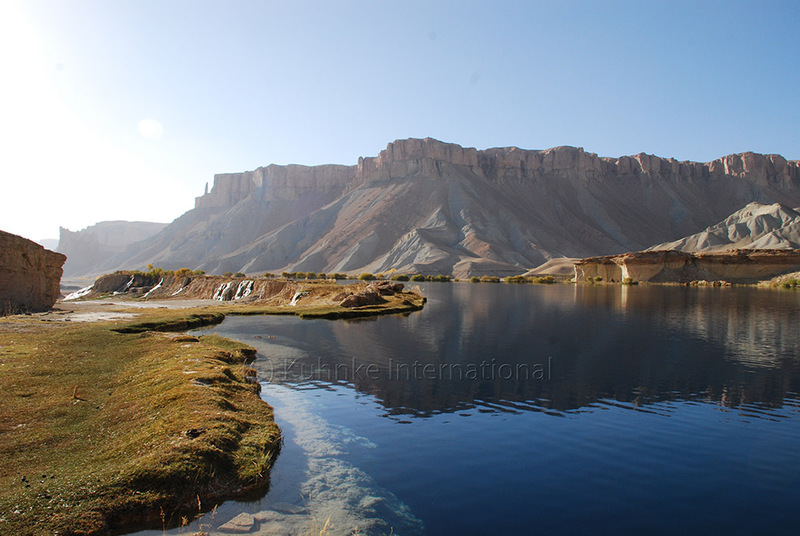 In early August we released the first version of our interactive Afghanistan map. It's a XML-formatted .KML file which contains information on a large number of things in Kabul and the wider Afghanistan-Pakistan region. If you do not already have the latest version of Google Earth, go download it. The KML file should be compatible with third-party GIS applications which understand basic Google Earth format files. There are no special overlays or complex data, just X/Y coordinates and placemark descriptions. This map started in 2006 as a Kabul-only placemark file listing landmarks for driving directions and shopping. It began with mundane things like the "Car tire store" or "Karimi Super Market" but has grown into a more comprehensive list of placemarks. It's important to mention that there are many sites intentionally missing from the public version of this map that will remain accessible only to Kuhnke International employees and certain customers. Certain USAID/CIDA/DFID contractors and NGOs would prefer for security reasons not to have the locations of their houses and offices marked on the map. 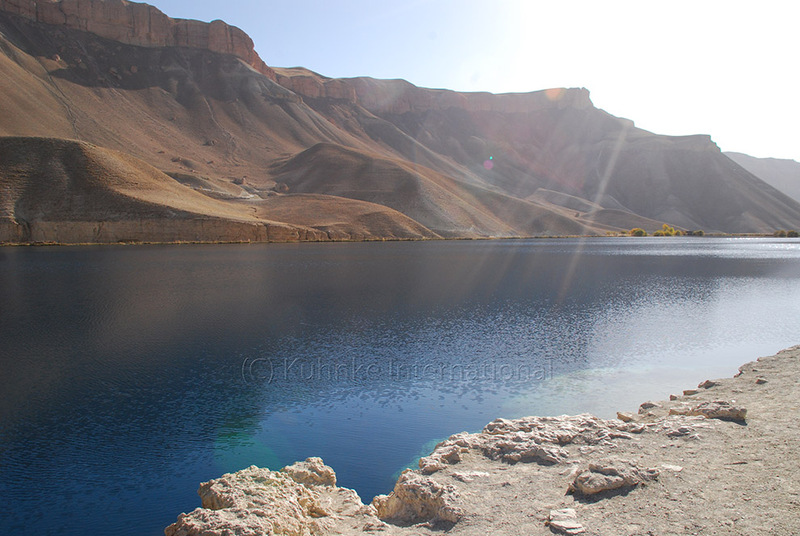 International companies and organizations which are marked on the map are generally those which are so large and notable that everyone in Kabul knows where they are. The Google satellite photos of Kabul are from approximately early 2005. The gross outline of the city has not changed, nor have most roads, but a lot is different so please keep that in mind. For example: If you take a look at the Google imagery, the large highway on the south side of the airport going westbound to Khair Khona is not paved (it was paved July 2006), and a lot of roadblocks do not exist in the 2005 images. Coverage of other regions of the country ranges from excellent post-2006 1 meter full colour images to poor 1980s-vintage LANDSAT photos. The Kandahar region has recently been updated including 1.5 meter resolution coverage of the area around the Kandahar air field and Spin Boldak border crossing. 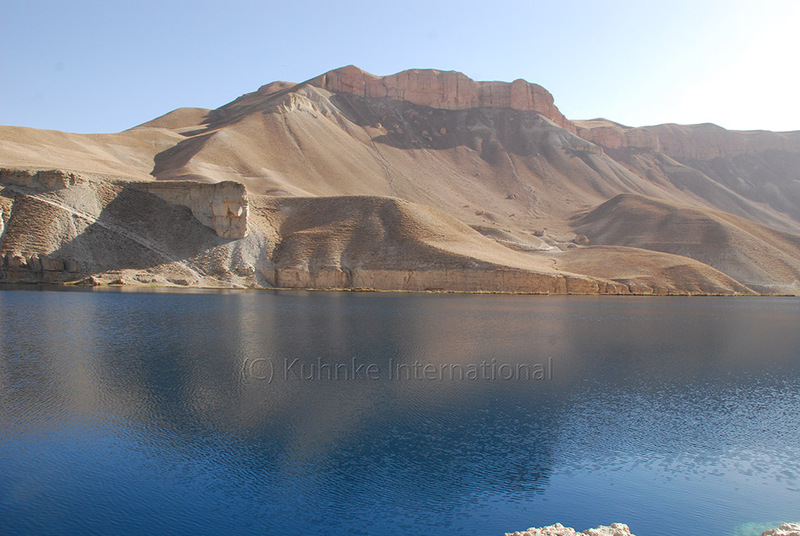 This month our focus for additions will be on sites outside Kabul, specifically in the central Hazarajat region of the country and the northern provinces. If you have any suggestions for the map please email eric@kuhnke-international.com with the latitude/longitude coordinates and a description of your new placemarks.